A versatile and devoted education consultant and child advocate, Maria Vetter has dedicated her career to children and their educational needs. She possesses a wealth of experience working with children who are challenged by special needs, with a primary focus on children who have Autism Spectrum Disorder, Asperger’s Syndrome and language-based learning differences. Maria also has considerable expertise in addressing a wide range of other needs and disabilities, including gifted support, traumatic brain injury, Fragile X Syndrome, Pervasive Developmental Disorder, Bipolar Disorder, Down Syndrome, Seizure Disorder, Reactive Attachment Disorder, Physical Disabilities and various behavioral issues. She is accomplished in developing programs to accommodate the needs of children in private, public and parochial schools, camps, colleges and home settings, including training staff and family members. Maria has developed countless IEP and ESY programs and created innovative social outlets for children with special needs. 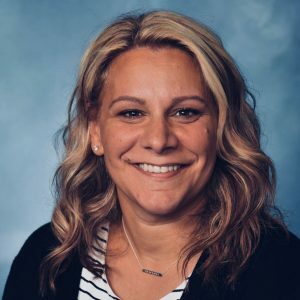 As a provider of autistic support services for Lower Merion School District in Pennsylvania, she helped design and implement the first full Asperger’s classroom program for the district’s elementary schools. As an advocate, Maria works with families of students with special needs, from diagnosis and early intervention, to school age and transitioning out of school into independent living. She helps families understand the educational process and aids them in securing the specialized services their children require. She also supports parents and students by attending IEP meetings, conferences, mediations and team meetings to advocate for the students’ rights. As an independent consultant, Maria assists with the implementation of programs in homes, schools, colleges and camps. She coordinates with families, home team members, school and camp staff to provide youth with an environment conducive to learning and supporting each child’s individual needs. Maria places a large focus on educational diversity in schools with inclusion. She has provided inclusion support to many students over the years and has trained paraprofessionals on the inclusion model and in the execution of that training. Maria is an active member of her community. she currently focuses her volunteer efforts on several children-centered organizations, including Alex’s Lemonade Stand, Autism Speaks and Variety club. She founded a non-profit to help children who had difficulty socializing with others. Maria is active in Cub Scouts, and School board President of a private co-op preschool in her area. She resides in Delaware County with her husband and four children.